PAOV — The Alberta government recently made changes to allow the rehabilitation of orphaned black bear cubs but plans to release the first cubs in the fall, when they have little chance of survival due to predation, hunting, starvation and cold weather. This petition is asking for authorities to listen to the advice of the rehabilitation facility and give the cubs a fighting chance, by releasing them in late spring. If you agree, add your name. Petitioning Eric Denhoff ERIC DENHOFF: BEAR CUBS RELEASED TOO SOON WOULD GET TO EXPERIENCE A "NORMAL DEATH"
Sign now with a click For the first time in 8 years, the Alberta Government is allowing rehabilitation of black bear cubs who are orphaned due to many reasons, involving humans; including, hunting for sport. Why, then, would they insist on setting these bear cubs up for failure upon release back into the wild? Currently, Alberta Environment and Parks is insisting on a fall release, coinciding with the start of bear hunting season. These two cubs, known as Charlie and Maskwa, have a slim chance of survival as the time of their release also coincides with the period adult bears of both sexes have to obtain 20,000 calories a day; therefore, small unaccompanied bear cubs run the well documented risk of predation. These bears are inexperienced with being on their own, and even if they survive hunting and predation, might not find a suitable den site to survive the winter. Odds are these cubs will be shot for sport or starve or freeze to death. A private rehabilitation facility and not the Alberta Government has experience with rehabbing 19 bear cubs in the past, successfully releasing them without harm to humans. Statistics from 44 other bear rehab centres show cubs are not released until 11 months of age or older. There are innumerable published papers supporting the release of orphaned cubs between 12 and 32 months of age not 8 months of age. Albertans would like Alberta Environment and Parks to be transparent and provide their source of information that endorses a fall release and compels them to move forward with this decision. Black bear rehabilitation is NOT funded by the Alberta Government, nor have they allocated funding for orphaned or injured wildlife rescue, rearing, and release back into the wild. In the past the Wildlife Act has enabled the Alberta Government to issue wildlife permits to approved organizations so wild orphans could be rehabilitated and released. These organizations and NOT the Alberta Government successfully released bears in the past without human habituation or danger to humans. Why now, does the Alberta Government believe they are the experts? 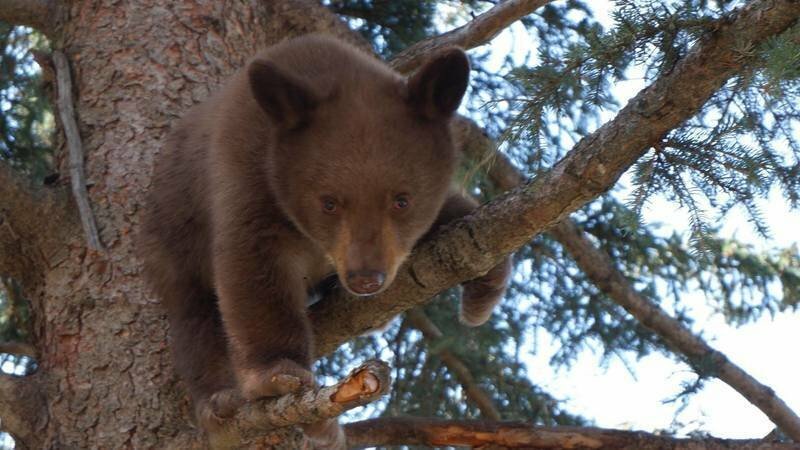 Alberta Environment and Parks continue to focus on the concern that these bear cubs will become habituated. The fact is, these bear cubs, will be in hibernation (not interacting with humans) from November to the end of March- earlier/later if Alberta has an early snowfall and a long winter. This hibernation is a five month period when no human/bear interaction occurs. This is one of the key reasons why a late spring release is beneficial: the 5 month act of hibernation breaks the association between bear cub and caregiver/ provider of food. Winter release is preferred, and has been successful with the bears in hibernating boxes, because when they wake up from hibernation they are in a new world, and when the habitat is suitable they stay there. This email was sent by Change.org to s6, because you registered as a Change.org user on 01/09/2011. We’d love to hear from you! Send us feedback or contact us through our help centre.